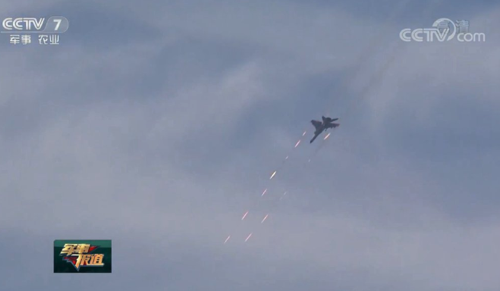 China Central Television, as per the Twitter account of the official People's Daily newspaper, reported Saturday that the Chinese military deployed fighter jets and bombers to conduct live-fire war drills in the disputed South China Sea, just days after the Japan Air Self-Defense Force and nuclear-capable US B-52 strategic bombers held exercises over the East China Sea and the Sea of Japan on September 27. 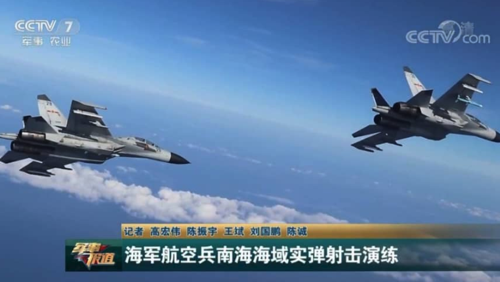 The report said dozens of jet fighters from the People’s Liberation Army Naval Air Force from the Southern Theater Command on early Saturday conducted "live-fire drills to tests pilots' assault, penetration and precision-strike capabilities at sea," said The Japan Times. Beijing on Thursday blasted the US and Japan exercise over the East China Sea, calling them a "provocation." "China’s principle and standpoint on the South China Sea are always clear," Defense Ministry spokesman Ren Guoqiang said, according to Chinese state-run media. "China firmly opposes U.S. military aircraft’s provocation in the South China Sea, and will take all necessary measures." Japan's Mainichi Shimbun News said the joint drills between the US and Japan were highly "unusual," as what we pointed out last week, a China-Japan maritime crisis is inevitable over the disputed Senkaku Islands. 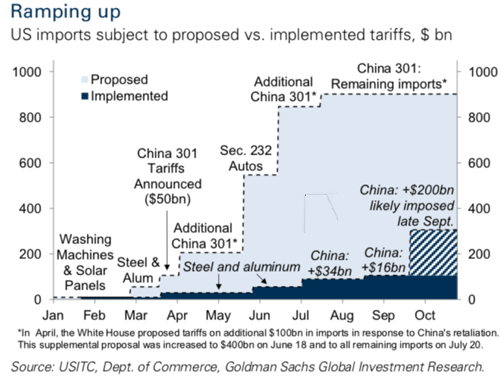 It seems that Thursday's move was aimed at keeping China in check amid increasing tensions between Beijing and Washington, including an intensifying trade war. In August, US bombers conducted similar exercises over the South China Sea. In addition to those exercises, the warplanes integrated with the Yokosuka, Kanagawa Prefecture-based Ronald Reagan Carrier Strike Group in the region. In June, China’s Foreign Ministry said no military in the world could scare China from the South China Sea when the US flew planes in the heavily disputed waters miles from its militarized islands. 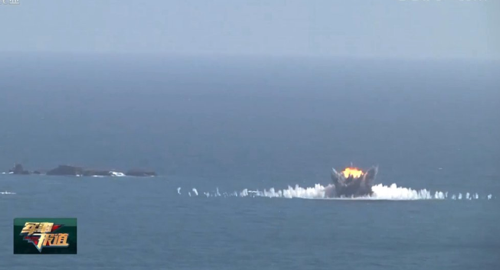 Washington and Beijing have unleashed a series of war drills over the militarization of the South China Sea, where China, Taiwan, Vietnam, Malaysia, Brunei, and the Philippines all have active claims. Washington and Beijing have yet to clash over the region -- the area includes critical shipping lanes through which over $3 trillion in global trade passes each year — and where China has constructed a series of militarized islands. China claims the area with its so-called nine-dash line, which encompasses most of the economic zones. At a moments notice, the region could become unstable and war break out. 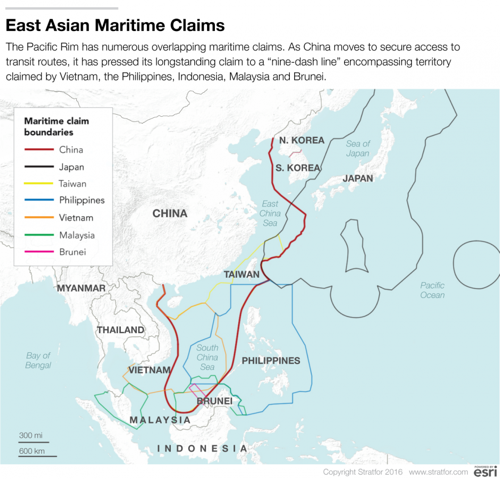 All eyes on the East Asian maritime region.